IT isn’t typically considered to be very environmentally friendly or cheap but The Finnish Association for Nature Conservation’s (FANC’s) strategy to use open source software has helped them achieve both. The issue of environmentally friendly IT is actively discussed at the The Finnish Association for Nature Conservation (Suomen Luonnonsuojeluliitto). There are a number of web services at the core of their operations e.g. in managing the organisation, public releases and generally protecting the environment. By making smart choices, the FANC has been able to build web services all the while conserving the environment and even saving some money in the process. Here’s how they did it. The key to this problem has been to make open source a strategic choice. All their servers are Linux systems running open source software exclusively. But what makes Linux more environmentally friendly than say for example Windows servers? The first issue with the environmental aspects of IT is the rather short lifespan of the hardware. We’re used to always getting the newest phones, computers and other devices only to toss them in the bin after only a couple of years of use. Manufacturing uses up a lot of energy and water, not to mention the all abundant use of rare earth metals and toxic chemicals. Getting new devices at a yearly rate is also a matter of cost. At the end of their lifespans devices can’t be sold and reutilised due to a significant price drop in the market. 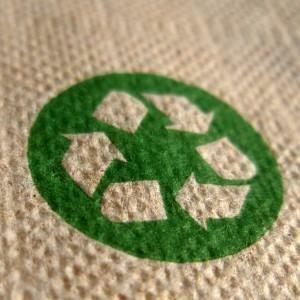 Recycling electronics also requires energy intensive processes in large facilities. The sad part is that the short lifespan of these devices usually isn’t due to the device breaking but rather a perception of the devices getting sluggish and outdated. This is caused mostly by heavy marketing and fashion trends. Also playing a part is bad software that’s no longer compatible with older devices. The remedy for this at the Finnish Association for Nature Conservation has been to opt for open source software. Linux, as all open source software get published on licenses that allow the users to freely use and develop the software. There’s no one there to limit the use of the software or to collect hefty license payments. With open source software, revenue is generated with support services that aim to increase the reliability of the system rather than just make it run faster on new hardware. Thanks to the open source development model, the software supports a wide spectrum of hardware platforms. Even older machines get support; meaning that you can install a brand new Linux operating system on a three-year-old computer that wouldn’t install Windows 8. Even when the device itself doesn’t get upgrades, free software updates satisfy the user’s insatiable tech-lust. With open source, often the software actually works faster after the update! 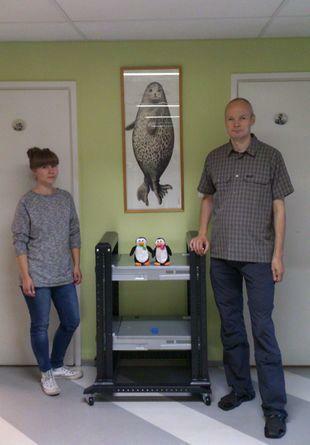 In the case of the Finnish Association for Nature Conservation, the expected lifespan of their server hardware exceeds six years, whereas typically you’re lucky to get more than three years of life out of your servers in similar situations. Currently their oldest machine is nine years old and still running. Some of their machines have got some of their components replaced, which is still better than replacing the entire machine. Doubling your lifespan means more than a 50% decrease in hardware costs and in environmental damages. Due to there always being a backup machine ready to go, you can run your current machines until the very end, and then replace them. There’s no problems caused by an old machine dying and getting replaced thanks to a Linux clustering solution where tasks get automatically carried out by other available machines. The FANC has also been able to take advantage of the low prices of last generation hardware. You can get brand new last generation machines for next to nothing thanks to the huge demand for only the newest machines. With Linux, you could easily still utilise three-year-old machines for up to three to five years. Long lifespans also reduce effort. The Linux distributions the FANC uses all have five or seven year security update policies. This means that a properly set up machine can go all the way through its seven year lifespan without ever needing to completely reinstall the system. With open source software there’s no excuse to avoid updates. All feature updates are provided free of charge, thus motivating the user to always keep their software up to date. Another critical challenge with environmentally friendly IT is, of course, power consumption. A Japanese study conducted in 2004, found that manufacturing a single desktop machine consumed three times as much electricity as a typical year of use with the end product. If you add up all other manufacturing-related processes, the number gets quadrupled. Often it wouldn’t make sense to purchase a new, less power hungry machine just to try to be more environmentally friendly; however if the consumption in use exceeds the energy used manufacturing the new device, it might be feasible to purchase a more energy efficient machine. Replacing old CRT monitors to new flat screen panels and going from desktop workstations to laptops will decrease your power bill significantly. The same applies to newer server machines that utilise solutions that decrease their power consumption and heat output. Both actions have been taken to further optimise the FANC’s energy consumption. ”At the central office we’re trying to conserve power by all means possible. In public spaces for example, we removed half of the fluorescent tubes and nobody could even tell the difference. Naturally we take the environmental aspects of IT into account as well.”, said Pekka Saari, IT expert at the FANC. Last summer, the FANC purchased second hand server machines that were both cheap and consume a fraction of their precursors energy use. According to their calculations, they’re conserving electricity at the yearly rate equivalent to a single bedroom apartment. The FANC’s servers all run on eco-energy. ”As the web content creator I’ve been happy with the decisions made here. I can safely estimate that IT in our office works better than in most larger scale organisations”, said Maija Lielahti, the web reporter. This article was originally published in Finnish at VihreaTuuma.fi.